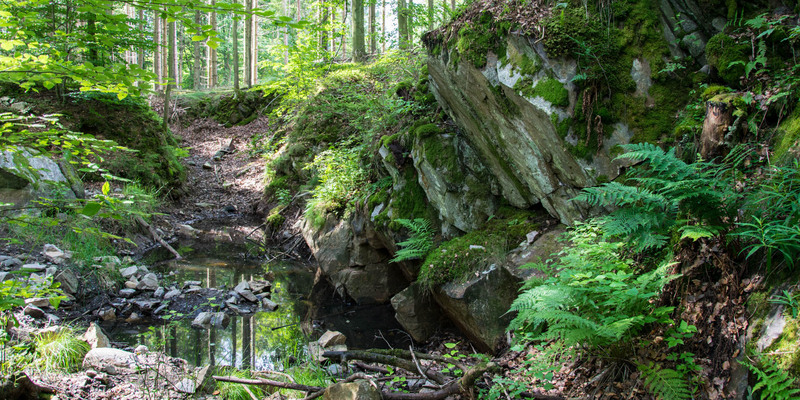 The former iron ore mine Västanå Järnmalmsgruva is located in a forest, around 4 kilometers north-west of Näsum, but is easily accessible only few meters away from a gravel road. Nowadays the Västanå Järnmalmsgruva is not much more than a 30 meter long and about 2 meter wide canyon with standing water. 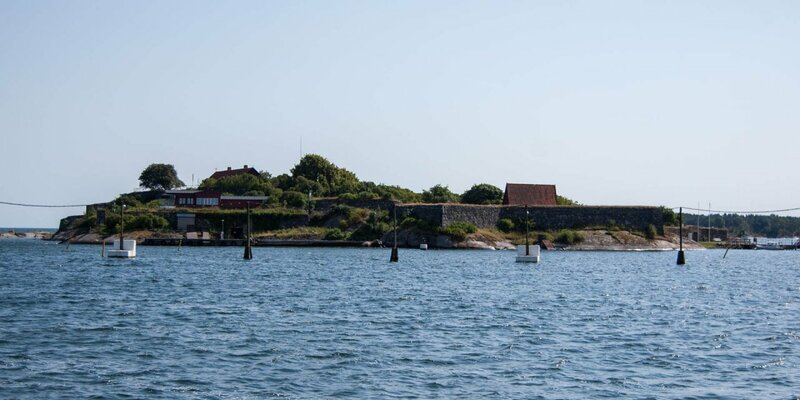 However, this relic was once Sweden's southernmost iron ore mine and the only one in Skåne. 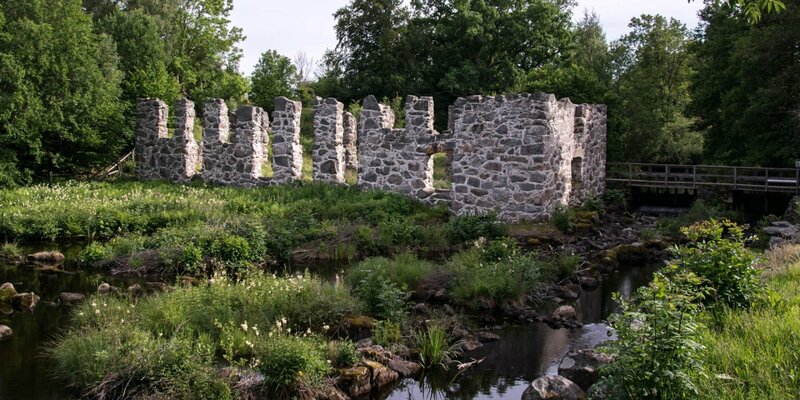 Between 1804 and 1916 there were mined a total of 1,500 tons of iron ore. For the smelting, the ore was brought as far as Ryd in Småland and to the ironworks in Olofström. Because the ore only had an iron content of about 30 percent, the mining was never really a big business and the deposit were finally exhausted in 1916. Due to the occurrence of many other minerals, the former mine is today a popular destination for mineral collectors. Västanå Järnmalmsgruva is known for the rare minerals berlinite and trolleite that were discovered by geologists Blomstrand during his research in the 1860s. 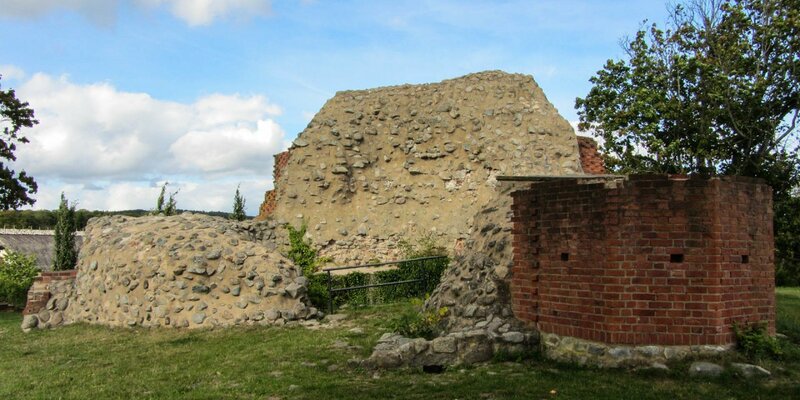 Blomstrand named the newly discovered minerals after his friends and acquaintances – berlinite after the bank director N.H.Berlin and trolleite after count Trolle-Wachtmeister.